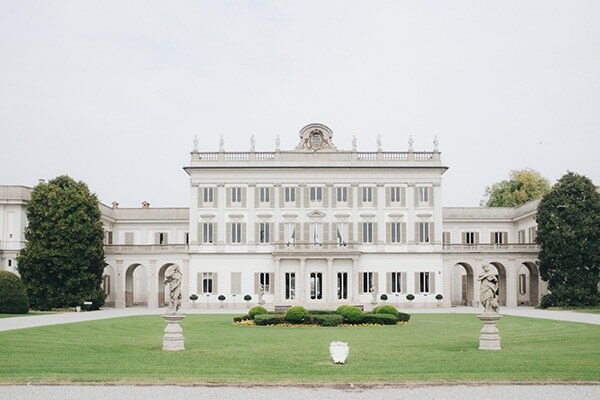 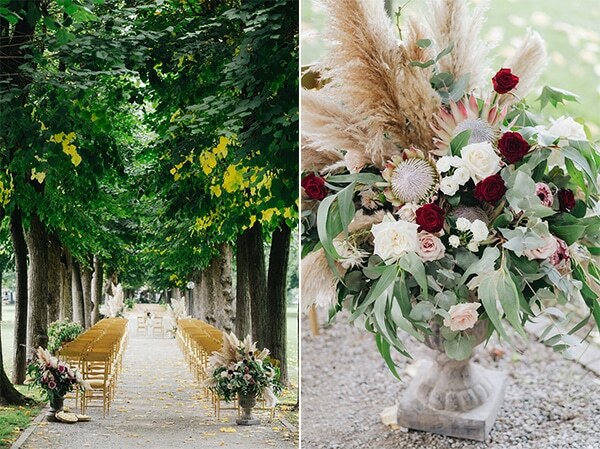 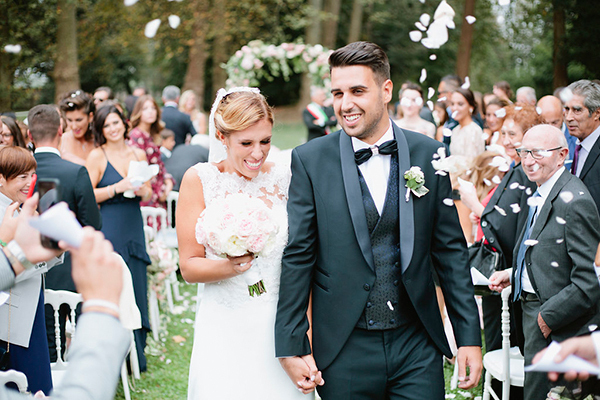 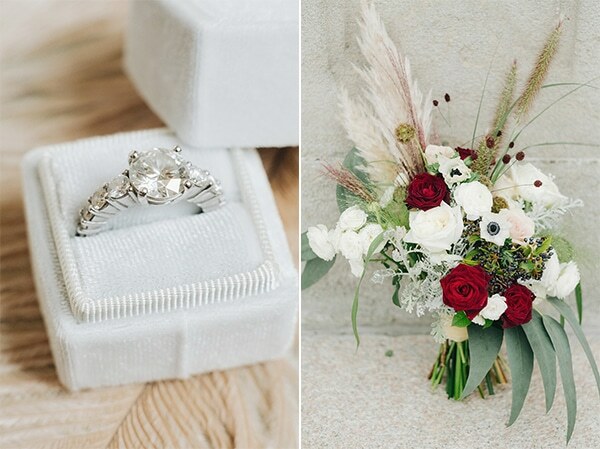 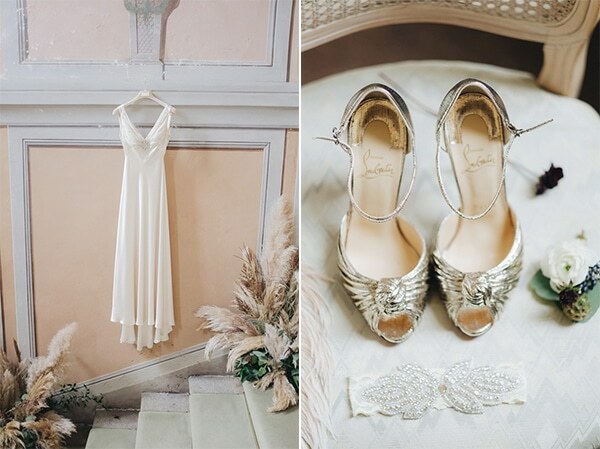 If you are dreaming of a glamorous vintage wedding at a wonderful villa, then this amazing wedding in Italy we are sharing today will amaze you! 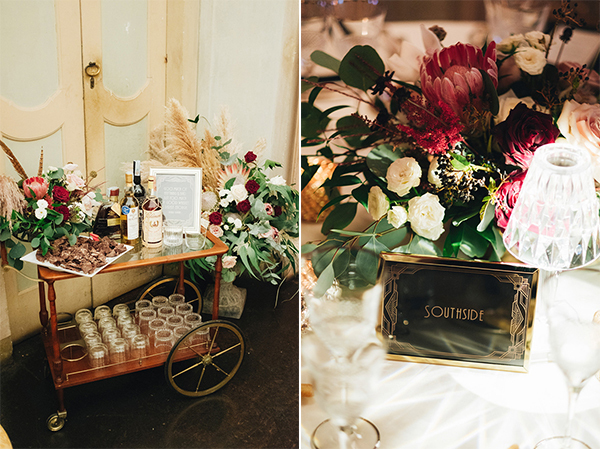 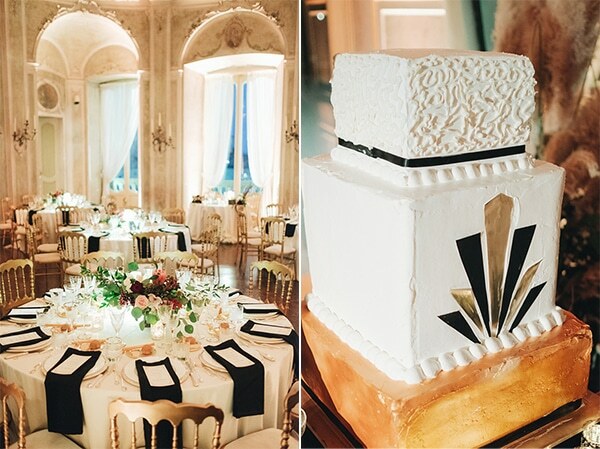 Inspired by Great Gatsby, this beautiful wedding took place at the magnificent Villa Borromeo, which was decorated with beautiful flower arrangements with white roses and proteas and unique gold and black details! 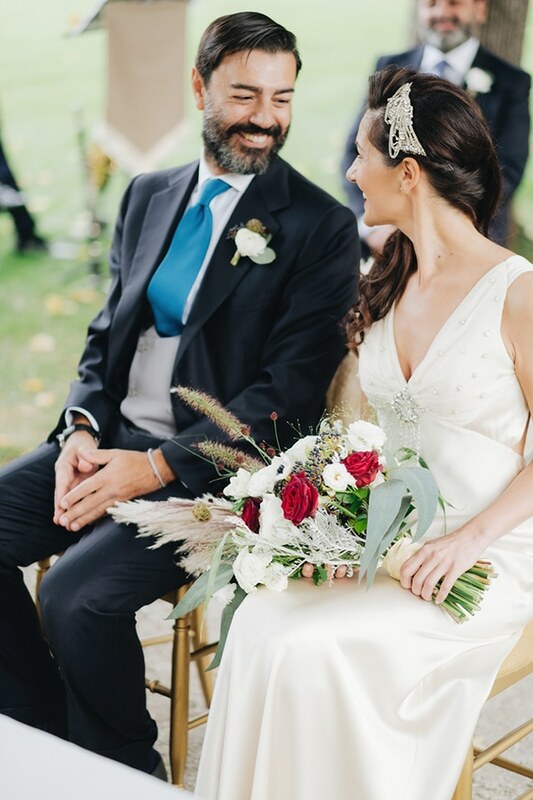 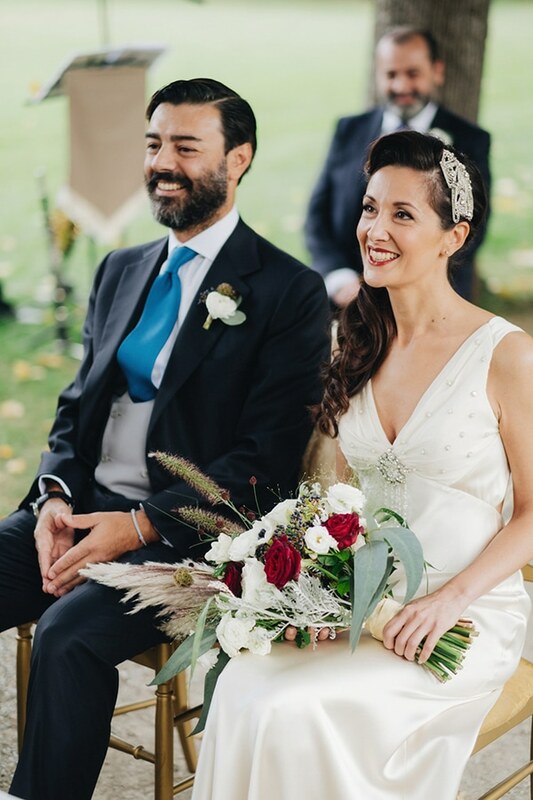 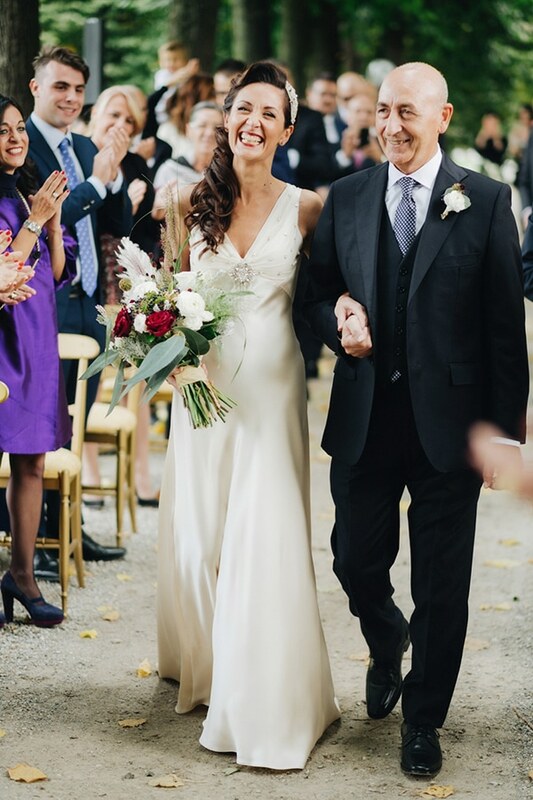 The bride wore a gorgeous Jenny Packham silk dress which fitted perfectly to the wedding style and a unique headpiece that added an extra vintage touch! 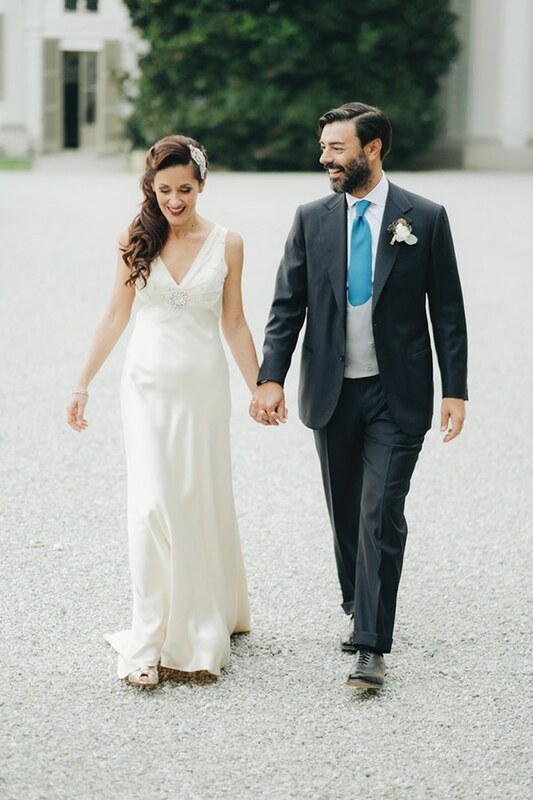 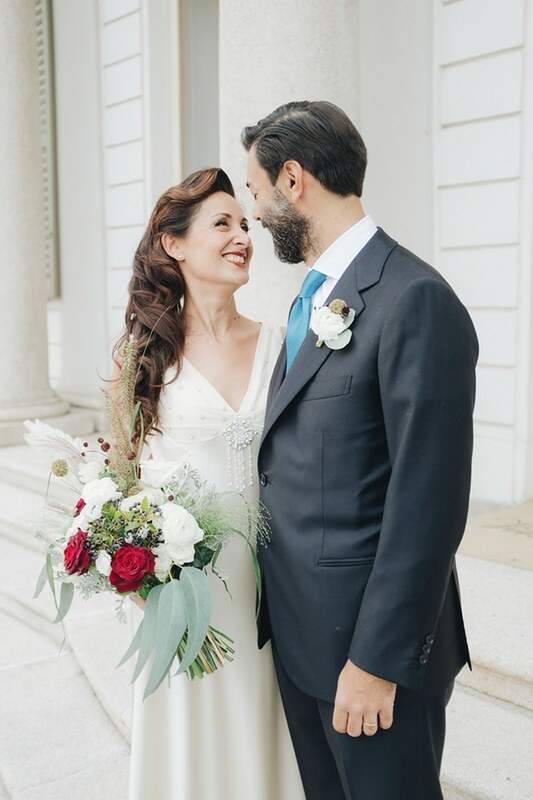 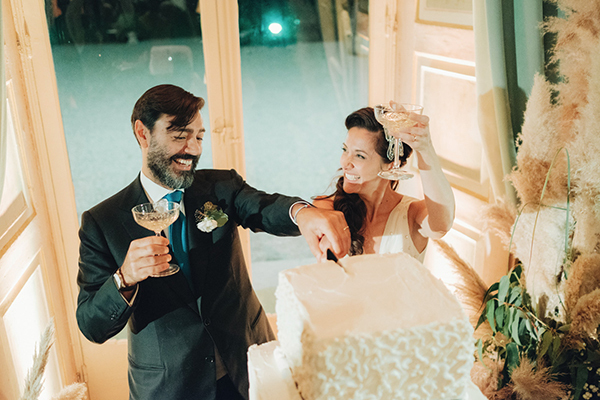 From Confetti a Colazione: “Elisabetta and Marco, a stunning and classy couple of lawyers, came to me and asked for a classic and traditional wedding, but after a while I understood we could dare something more. 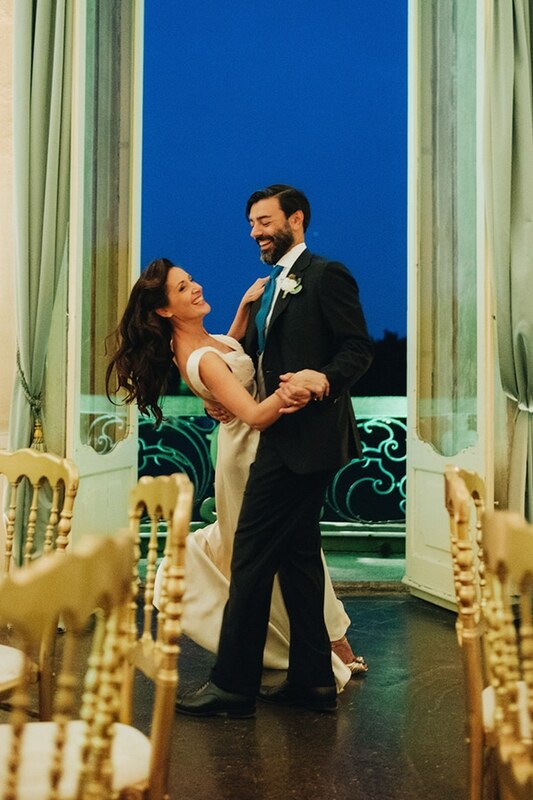 They deserved it! 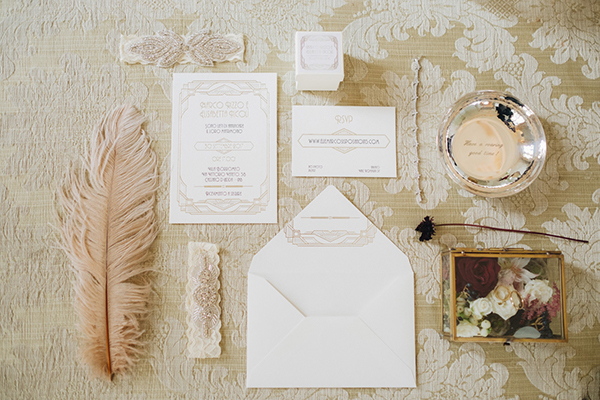 Just after having shared a goldy and old style font invitation on our Pinterest board, Great Gatsby theme came nearly immediately. 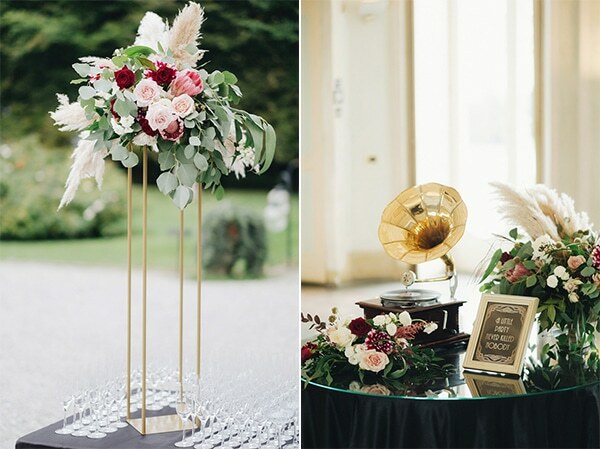 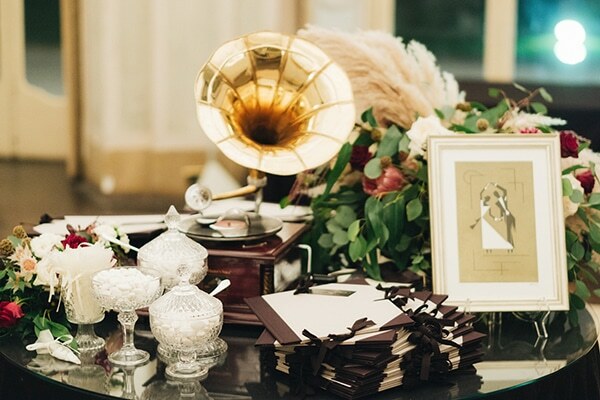 For the reception, held at the magnificent Villa Borromeo, we wanted to create a 20s atmosphere with no excess in lavish. 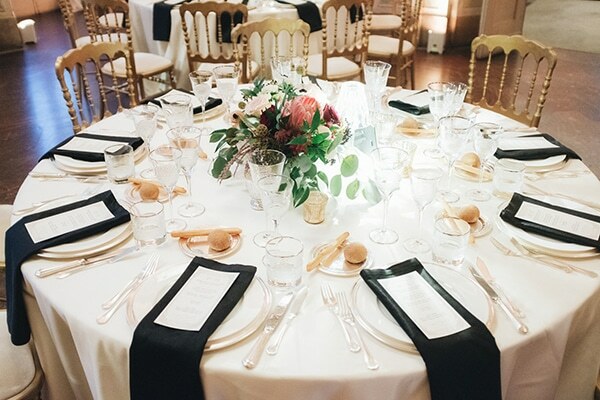 Chic and elegant were our keywords during the whole planning phase”. 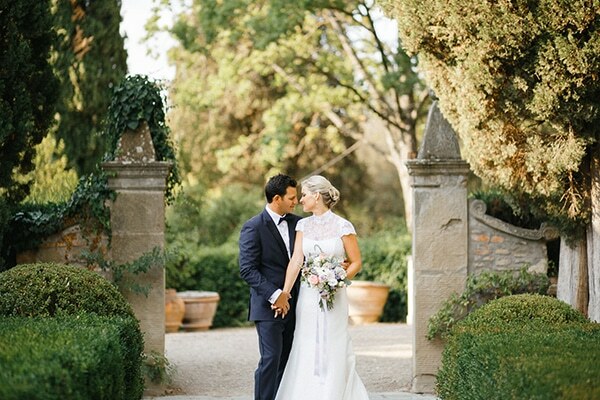 “The unique Jenny Packham silk dress was born for the bride and for the wedding! 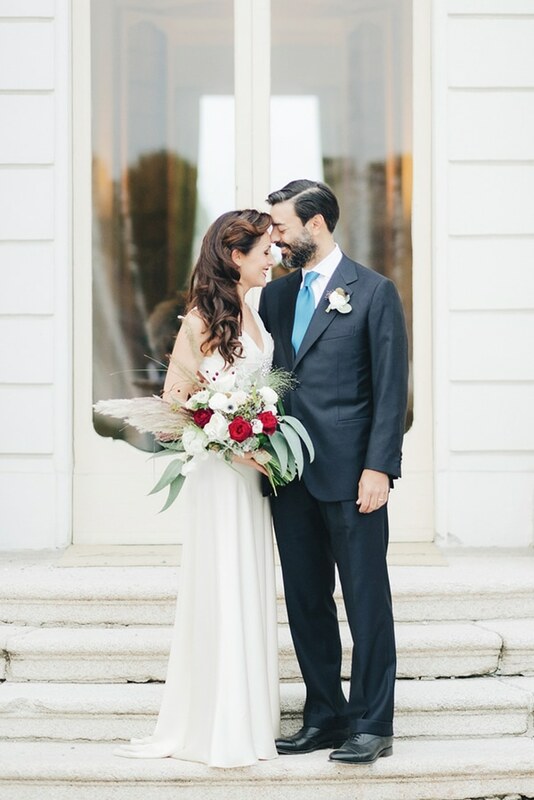 Refined accessories, hair, make up and Louboutin shoes completed her look. 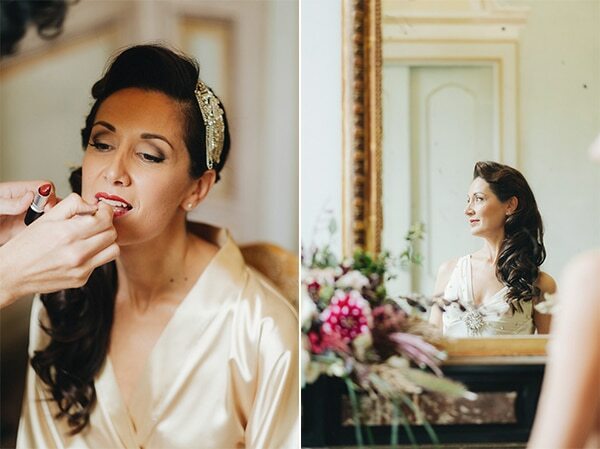 She was gorgeous”.